Colombia’s opposition is pushing for the removal of a magistrate who is investigating former President Alvaro Uribe, but never told the Supreme Court she worked with one his defense lawyers. Leftist Senator Ivan Cepeda (PDA) asked his lawyers to look into magistrate Cristina Eugenia Lombana after she was forced to admit she worked Uribe’s defense attorney, Jaime Granados, in the 1990s. The magistrate published a press release saying she never denied her “fleeting experience of three months” with Granados yet did not include it in her resume. “I tried to obtain that certification to include it in the documents presented since my first application to the magistrate of the court in 2015, but I was informed that it was not even included in the record of lawyers registered by that firm,” Lombana said. Her impartiality of judgement came into question on Sunday after Semana columnist Daniel Coronell revealed that the magistrate worked with Uribe’s lawyer in 1997 and has known him since 1995. Lombana’s possible conflict of interest may be threatening her legitimacy as magistrate of the Supreme Court’s Instructions Chamber, lawyer Reinaldo Villalba told Canal Uno. Her failure to report her previous link to Granados when running for the Chamber of the Supreme Court of Justice, would be sufficient “reason to be declared impeded or to generate re-accusations by other procedural subjects”. 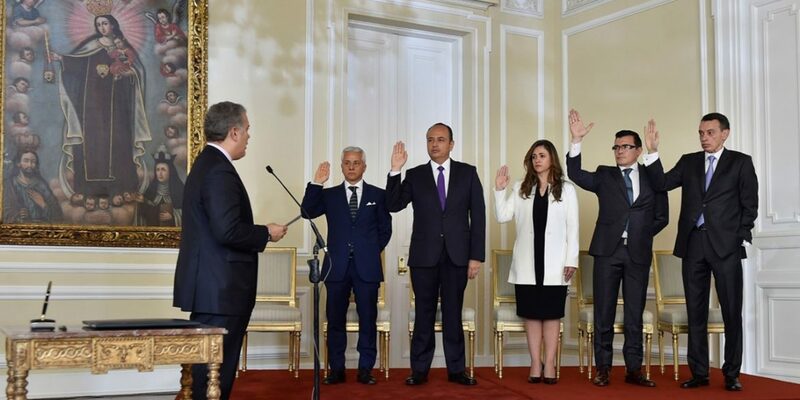 The magistrate was sworn in as a member of the Supreme Court’s Instructions Chamber by President Ivan Duque, Uribe’s protege, in September last year and has since been involved in one of the most high-profile criminal probes in history. Lombardo is investigating the former president’s alleged tampering of witnesses who have testified that Uribe had illegally formed the “Bloque Metro” death squad in 1996 when the former Medellin Cartel associate was governor of the war-torn Antioquia province, at the same time as the magistrate worked with his defense attorney.